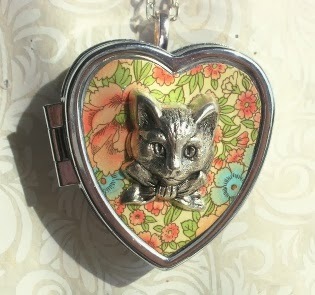 It fits in her palm and is always there to remind her of your special friendship. 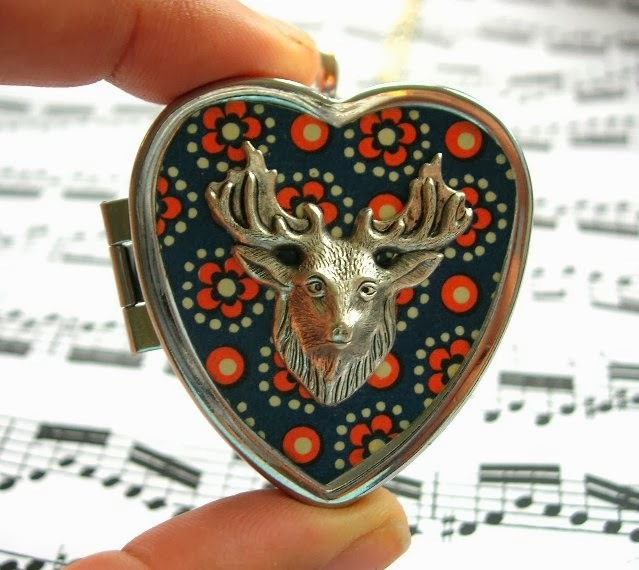 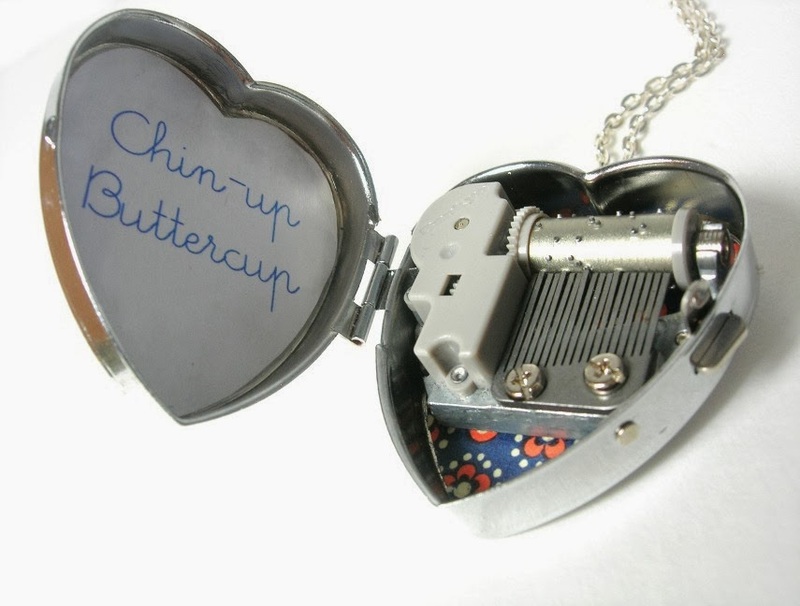 Choose from 17 different songs for the locket to play when the tiny key on the reverse side is wound. 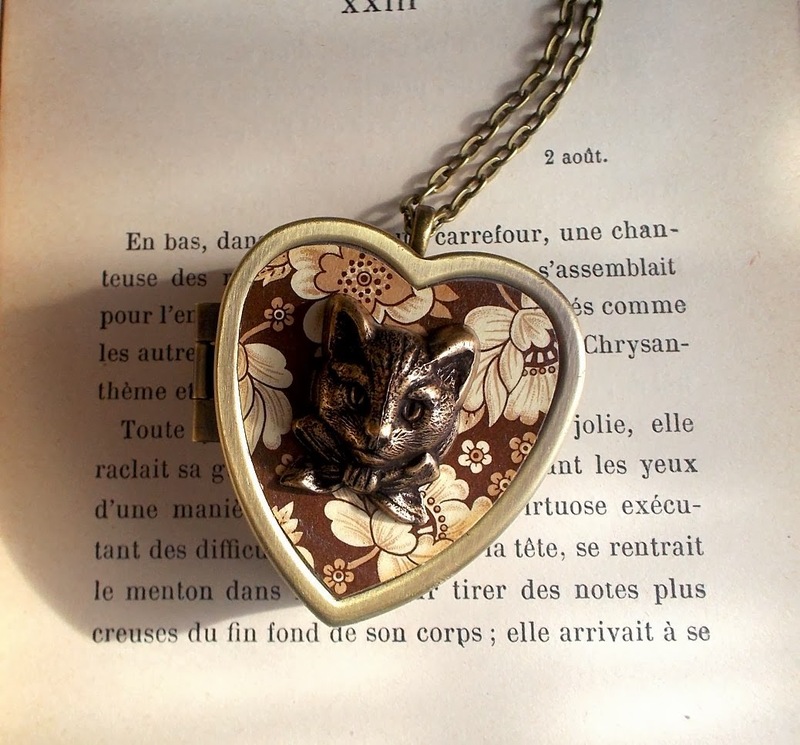 Choose a heart-shaped locket and include a personal message on the inside. 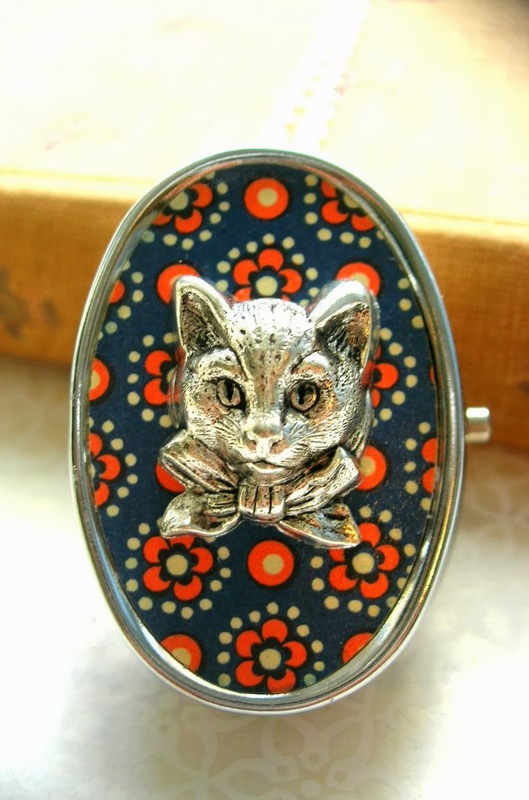 The whimsical, speckled blue pattern is a current favourite among our fans, featured here on MSM's cat cameo and silver stag lockets. 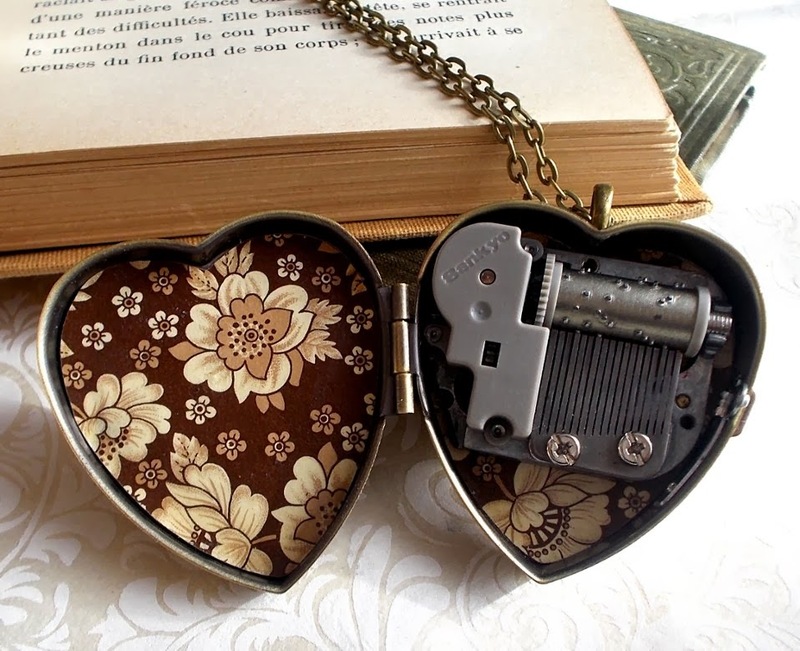 Inside each locket you will find an authentic old-fashioned wind-up music box which plays a short tune of your choice. 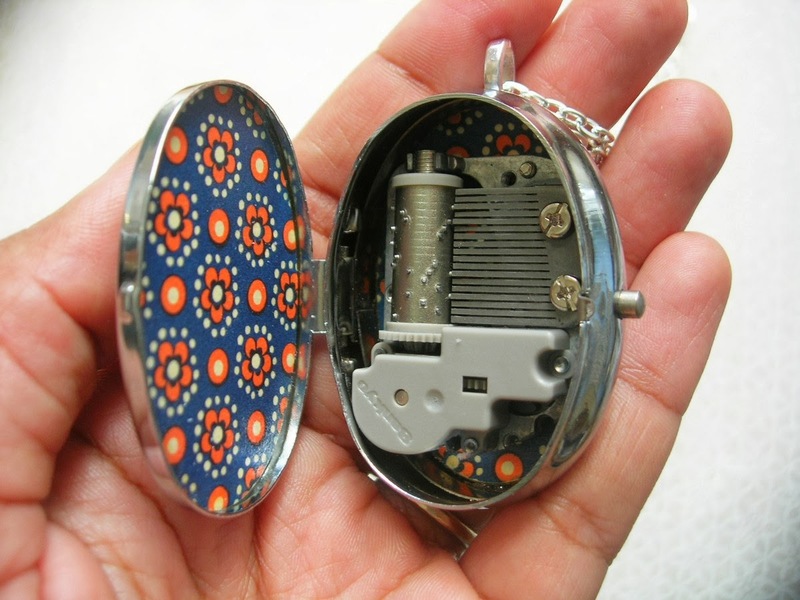 Miniature music box lockets by My Secret Music Box.